Crown Prince of Abu Dhabi Sheikh Muhammad bin Zayed Al Nahyan is scheduled to arrive in Islamabad on January 6, Express News reported. 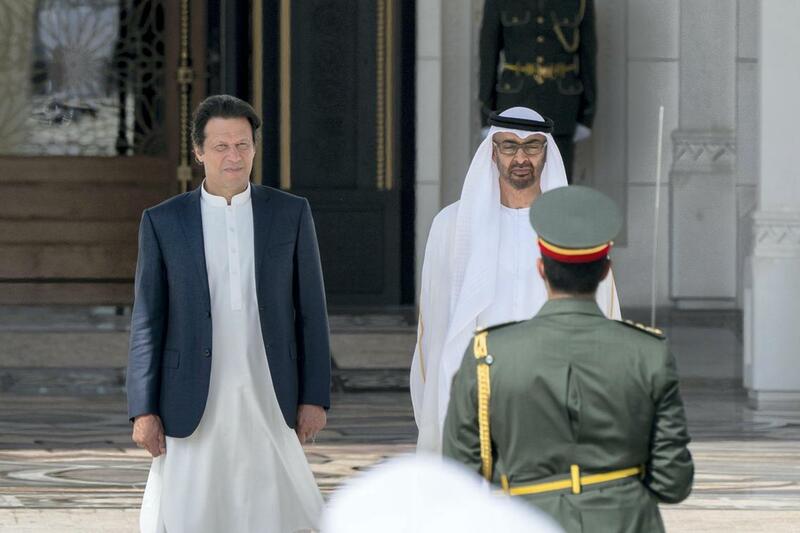 Sheikh Mohammad, who is also Deputy Supreme Commander of the UAE Armed Forces, had accepted an invitation to visit the country extended by Prime Minister Imran Khan in a telephonic conversation last year. Sources the crown prince will be accompanied by a high-level delegation. He is expected to announce investments in Pakistan. A UAE delegation was expected to come to Pakistan in October, 2018 but it was cancelled as PM Imran was scheduled to meet Qatar’s foreign minister. In December, 2018, the United Arab Emirates (UAE) announced it will deposit $3 billion into Pakistan’s foreign currency account to help it successfully overcome international payment crisis and to avoid a stringent International Monetary Fund (IMF) deal. “The UAE has announced its intention to deposit US$3 billion (equivalent to AED11 billion) in the State Bank of Pakistan (SBP) to support the financial and monetary policy of the Islamic Republic of Pakistan,” the Abu Dhabi Fund for Development (ADFD) said in a statement published by WAM news agency.